Aquamarine, along with emerald (and morganite), is a member of the beryl family. Both gems have the same chemical composition -- beryllium aluminum silicate. They have the same hardness -- 7.5 to 8 on the Mohs scale -- and the same density and refractive index. But apart from these important similarities, they are nearly as different as two gems could be. Emerald is one of the most included of all gems, often exhibiting surface-reaching fissures. Aquamarine, by contrast, is one of the cleanest gemstones known, and can often be found loupe clean.The differences are many. Pure beryl is colorless and emerald is colored by traces of chromium and vanadium, while aquamarine is colored by traces of iron. 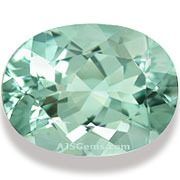 Emerald usually displays a rich saturated color while aquamarine is almost always pastel in color. Some aquamarines are so pale as to appear almost colorless. 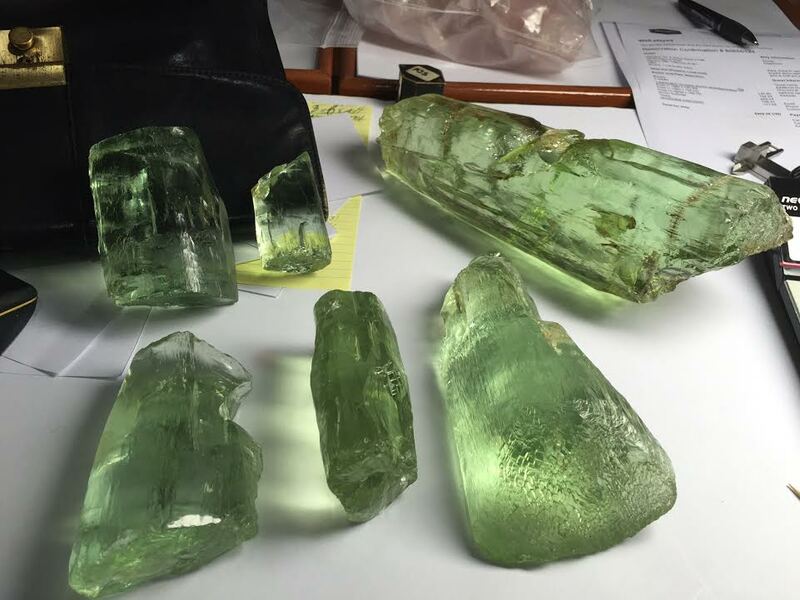 Emerald is routinely treated with oils or resins to fill surface-reaching fissures. Aquamarine is usually untreated though some stones are heated at low temperature to reduce any traces of yellow. However this treatment is undetectable, since the temperatures are low enough not to affect any internal structures. Emerald is quite rare while aquamarine is relatively common. Emerald is especially rare and expensive in larger sizes, while aquamarine can sometimes be found in very large sizes, up to 40 carats. But while aquamarine is relatively common, the stronger colors are quite rare. 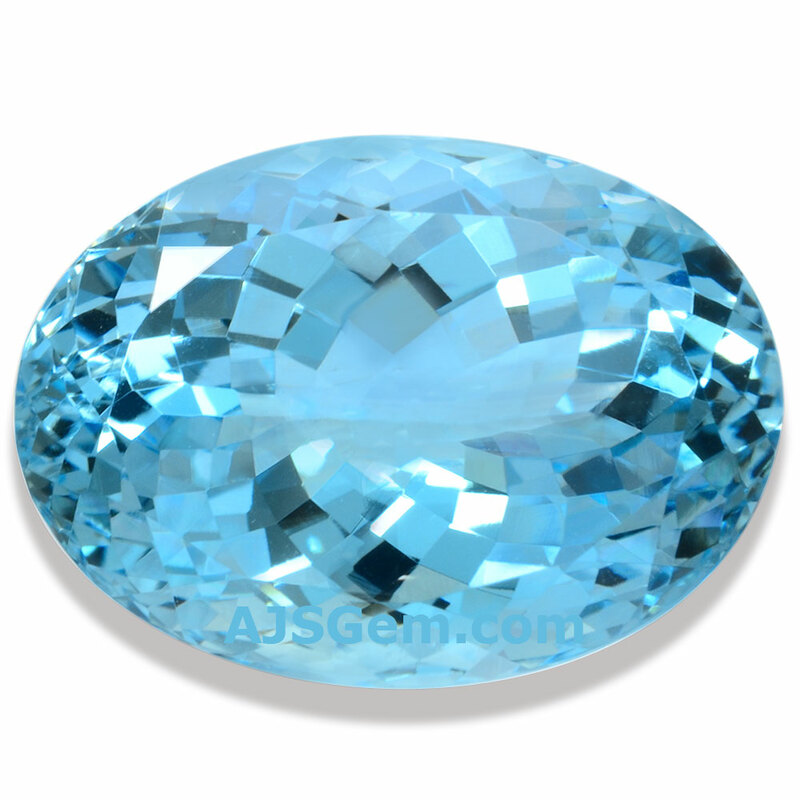 In buying aquamarine you will find that blue stones tend to be priced higher than those that are predominantly green, and that intense blues are more expensive. 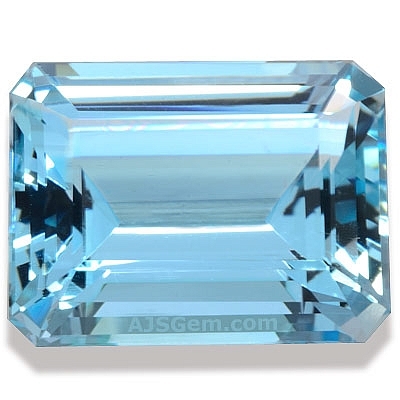 Aquamarines with a darker tone are also priced higher by many dealers, even when the blue is not very saturated. Because aquamarine is generally very clean, you should expect a high quality aquamarine to be at least eye clean. Small inclusions are acceptable if the color is very good. But you will find that many aquamarines are almost completely clean even when examined under a jeweler's loupe at 10x magnification. Aquamarines are given different cuts depending on the rough material and the color. Particuarly fine colors may be given an emerald cut or scissor cut, since the large facets show off the color well. This cutting strategy is typical with emerald as well. But you will also find many faceted aquamarines, since the small facets increase the brilliance of lighter colored stones. Though large aquamarines are not uncommon, top grade stones of good color are rare and fairly expensive in sizes over 10 carats. Still, the per carat prices for these large aquamarines are quite attractive, since they can be found in the $400 to $600 per carat range.